The first days of a new year are always a time to recommit ourselves to establishing beneficial habits and jettisoning things, circumstances, and relationships that are holding us back. But if the truth be told, we know that many of these efforts – in the long run – end up in failure, so I wanted to suggest one simple way to “clear the decks” that is virtually guaranteed to succeed and provide you with a good productivity payoff throughout the year: Unsubscribe like there’s no tomorrow! If you’re like most of us, throughout the year you subscribe to a wide range of emails that you end up not looking at. We sign up to get a free download, enter a contest, or perhaps simply by accident. One reason we don’t unsubscribe is because the “unsubscribe” link is always very small and buried at the bottom of the email. Because of that we often end up deleting them day after day, or week after week. It doesn’t seem like a big deal on any given day, but over time, the wasted time and mental effort adds up. 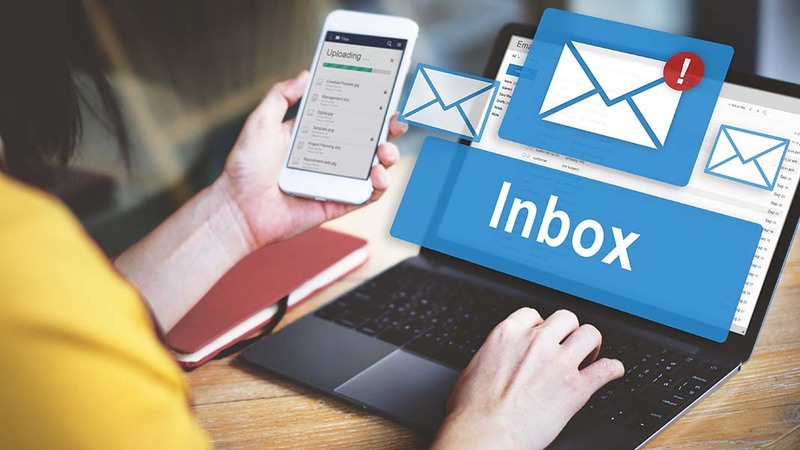 Beyond that, a clutter-free email inbox, like a clutter-free home or work environment, is far more conducive to clear thinking and enhanced productivity. With that in mind, let me quickly show you three easy things many of you can do. First, for any email account that is based in Google’s Gmail, there is a little “unsubscribe” link at the top of each individual email – you don’t have to go on a hunting expedition through the tiny type at the bottom of the email. Just click the link! Next, I suggest you try using Unroll.me. It’s an app that will collect all of the emails you subscribe to and put them into one daily email digest. That’s great because it reduces the clutter in your inbox. But Unroll.me has another feature: Whenever it finds a new subscription, it alerts you and gives you the option to immediately unsubscribe from it. Finally, I suggest you take advantage of the filtering and anti-spam powers built into whatever email system or software you use. You can often filter out email that comes from a specific domain as well as filter for specific words in the subject line. If you’ve had the same email address for many years, there’s a good chance you’re getting enough daily spam to really bog down your efforts to sort through your inbox. If you use the simple user-friendly tools I’ve described here, you can regain a good deal of your email efficiency. Susan Wilson Solovic is an award-winning serial entrepreneur, New York Times, Wall Street Journal, Amazon.com and USA Today bestselling author, and attorney. She was the CEO and co-founder of SBTV.com—small business television—a company she grew from its infancy to a million dollar plus entity. She appears regularly as a featured expert on Fox Business, Fox News, MSNBC, CNN, CNBC and can be seen currently as a small business expert on the AT&T Networking Exchange website. Susan is a member of the Board of Trustees of Columbia College and the Advisory Boards for the John Cook School of Entrepreneurship at Saint Louis University as well as the Fishman School of Entrepreneurship at Columbia College. Which Leadership Styles Are Most Effective?